Completed only a few months ago, property owners who bought at MyBrickell are already in the selling mode. The increase in list prices this time around is astonishing. To give you an idea of what we are talking about, preconstruction prices for studios first started at about $169K. The lowest priced studio listed on the MLS is at $290K (reduced from $329K in February) – a 71 percent increase in list price. On top of that, there are currently 20 listings at MyBrickell – all resales. We know that the real estate market is heating up but holy smokes! MyBrickell is unlike any other condominium in the Brickell neighborhood. It definitely stands out from the other condominiums in that it is brightly colored and a blend of contemporary, art deco and even eclectic in its interior and exterior design. The condominium building 184 units on 25 floors with an expansive retail push on the ground floor as well as a fitness center, a huge and really cool lobby, and a lavish pool bar area. The whole idea behind MyBrickell is that it is designed to be a pedestrian friendly condominium that is close to everything – within walking distance. 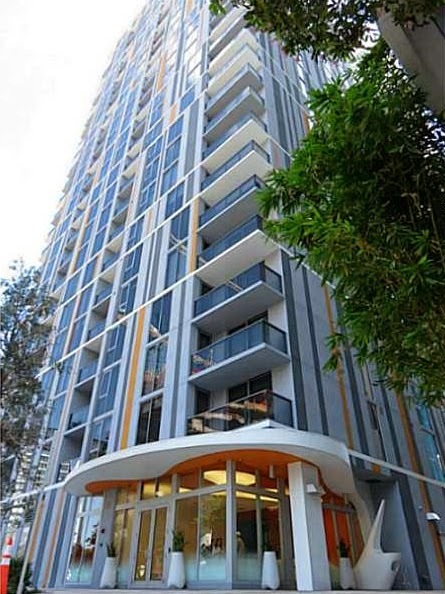 Located at 30 SE 6th Street, MyBrickell sits on the Miami River in Brickell. MyBrickell is located within a block or two of Mary Brickell Village making it easy to walk over to Balans Restaurant, Fado Irish Pub, the Blue Martini and others for drinks and dinner or shopping on a Saturday afternoon. There is a breezeway that connects MyBrickell to the Brickell Financial Center next door as well. On top of that, the new Brickell CitiCentre is under construction right next door. In terms of location, MyBrickell’s cannot get any better! Get the picture? On its own merit, Brickell is Miami’s answer to “business is booming!” There is so much construction happening that the area is morphing into what some call the “Manhattan of the South.” But don’t let that scare you – it is a really great place to be especially if you work in Downtown, Brickell or even Midtown. Where do we start? In terms of community amenities, the condominium offers tons of them from the state of the art fitness center to a delightful outdoor pool deck with a great pool bar to a game room and expansive art deco-style lobby. The whole theme around MyBrickell is its pedestrian-friendly atmosphere. With that in mind, there is parking next door but only one and two bedroom residences come with one assigned parking spot while studios must use valet parking. As for residences, the residences are spacious with studios having 600 square feet and the largest two-bedroom/two-bath having over 1,300 square feet. The loft-style kitchens feature stainless steel appliances and tiled backsplashes. Views from the residences showcase the city and water. The living area is open and airy, and the master bedrooms have very nice walk-in closets. The interesting thing about MyBrickell is the number of units available for resale. Currently there are over 20 studios, one, and two-bedroom properties listed on the MLS. In fact, with a building that has just been completed, 14 percent of the building is for sale. The average cost per square foot of those listed is about $525 compared to the original cost per square foot during pre-construction sales of around $360. It is important to note that most of the MyBrickell listings for re-sale listed have already received price reductions since none have closed to date. 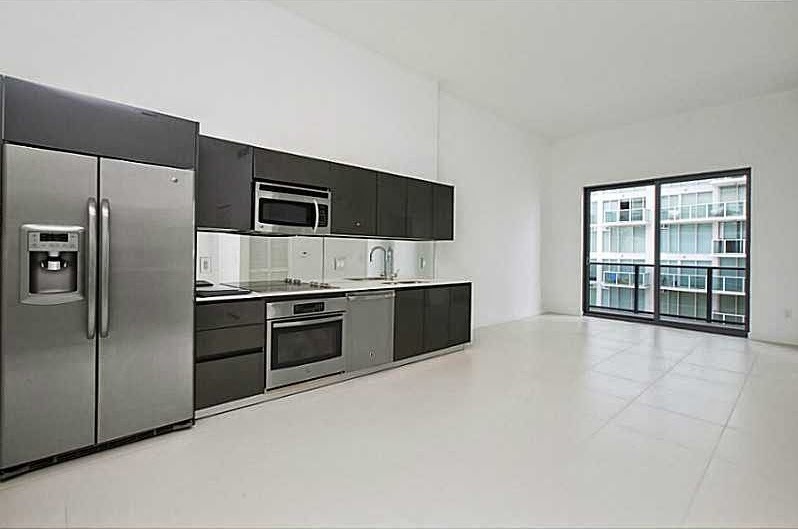 As for MyBrickell rentals, there are 27 available as of today with monthly rental rates ranging from $1,500 for a studio to $3,500 for a two-bedroom/two-bath unit. Most are listed as unfurnished annual rentals and for those who rent them, they get brand new everything. In the renting world, that accounts for a lot. With new construction booming in Brickell and even more in the works in the surrounding neighborhoods, it will be interesting to watch what is to come with the sales and rentals of MyBrickell condominium units. In terms of locations, you can’t ask for anything better than where it is located and the character and uniqueness stand out above the rest. It is simply an architectural masterpiece and one that is going to get even hotter as construction around it completes. The design for this place looks absolutely incredible! 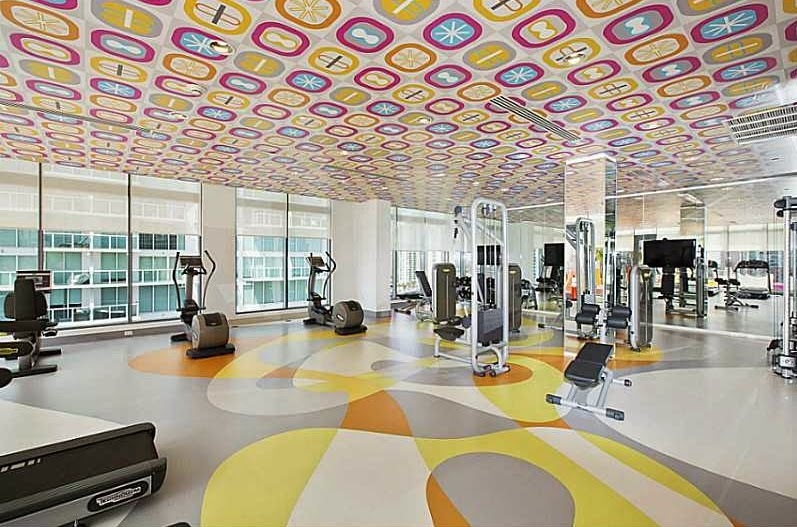 The gym looks great, and the other amenities sound top notch. Some of the designs seem to have that summertime 60's appeal to them with the usage of color and shape. 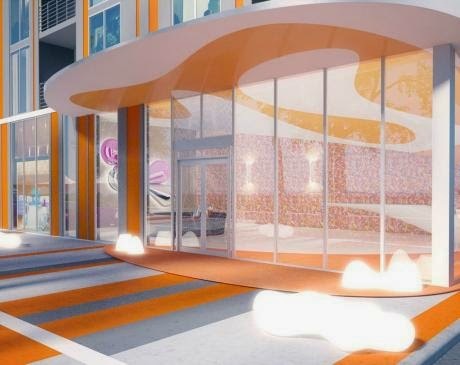 I'm definitely interested in seeing more of Karim Rashid's work after seeing this.